Russia’s Alrosa (MCX:ALRS), the world’s top diamond producer by output, is returning to Zimbabwe after almost two years, as the company continues to expand in Eurasia. The miner will develop exploration and extraction operations in the country as long as it counts with support of the government, it said on the eve of talks in Moscow between Zimbabwe's President and Vladimir Putin. Alrosa opened an office in the country’s capital Harare in early December, but the first employees, including geologists and mining engineers are expected to arrive later this month. Most of the country’s diamond fields are in Marange in eastern Zimbabwe, where production is dominated by the state-owned Zimbabwe Consolidated Diamond Company (ZCD). It is expected to produce 3.5 million carats in 2018, up from 2.5 million in 2017. 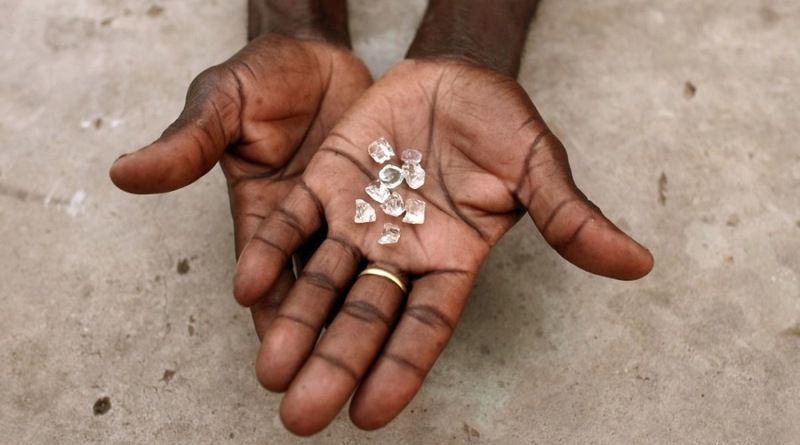 In 2008, hundreds were killed and thousands had to leave their homes as Zimbabwe’s military forced artisan miners to leave Marange after the early stages of the diamond rush. Alrosa, which says it is responsible for 27% of the global rough diamond production in terms of carats, already has operations in Angola and Botswana. In early 2016, ex-president leader Robert Mugabe went further, evicting all diamond mining firms, including two Chinese joint venture companies from Marange. It said at the time their licenses had expired after they declined to merge under a newly created state-owned mining firm. Mugabe’s administration was frequently accused by human rights groups and other critics of giving the army and security forces access to mineral wealth following the operation. Zimbabwe’s new President Emmerson Mnangagwa is already making moves to end the country’s international isolation and attract foreign investment to boost an economy in tatters, including allowing new private investment in the diamond fields. His government is also considering waiving a rule that prevents foreign investors from holding controlling stakes in its diamond mines. “We also seek to support Zimbabwe in the development of its diamond-mining industry in line with industry’s best practices,” Alrosa’s Chief Executive Officer Sergey Ivanov said in the statement. In late October, the company began production at its new Verkhne-Munskoye diamond field in eastern Siberia, which will partly substitute suspended output at the company’s underground Mir mine. That operation was flooded when water seeped in from an open-pit mine above it in 2017.